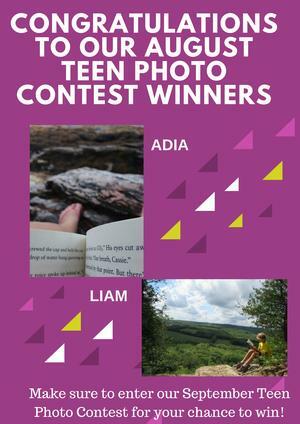 Our August Teen Photo Contest winners did such an amazing job with the theme "Library Book Travels"
Photographers, Liam and Adia, both took wonderful photos that showcased their favourite places to read. 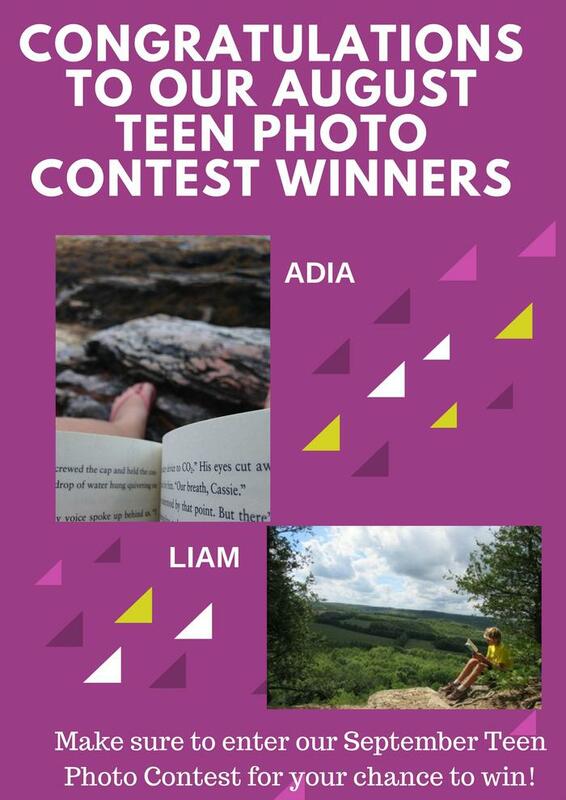 Liam won a Scenic Caves Pass and Adia won a copy of Harry Potter and the Cursed Child. Well done! Make sure to enter our next Teen Photo Contest "September Sunsets"